My research framework centers on the intersection of urban sociology, sociology of consumption and global political economy, with a particular focus on ethnic communities in major U.S cities. I examine how urban spaces are shaped and reshaped by economic and political changes, and transnational flows of people and culture in an era of global competition. My book project, “Transclave: Branding Korea and Marketing Ethnicity in New York City,” based on my dissertation, investigates how Korea’s nation branding strategy, entrepreneurs in Koreatown, and local consumers in New York City have together shaped the development of Manhattan’s Koreatown as a new type of ethnic enclave. This “transclave,” is a transnational space for Seoul-style consumption. My project presents multi-layered research based on archival research, participant observation, and in-depth interviews with 125 individuals, including three consumer groups (Korean nationals, Korean Americans and non-Koreans), business owners, and officials working in Korean organizations in both Seoul and New York City. Manhattan’s Koreatown as a Transclave: the emergence of the new ethnic enclave in a global city (in City&Community) Here! This article critically challenges scholarship on ethnic enclaves, from Chicago School scholars to the ethnic enclave debates of 1980s and ‘90s, and introduces a new type of ethnic enclave in an era of globalization: the “transclave.” By using Manhattan’s Koreatown as a case study, I define transclave as a commercialized ethnic space that exists exclusively for consumption, leisure, and entertainment, differentiating itself from traditional ethnic enclaves that offer housing and jobs for newer immigrants. Instead, transclaves are spaces where transnational consumer culture and brands from sending nations are transferred to, negotiated with, and anchored in a geographic space in a global city, and shape the landscape of that space. “Nation Branding or Marketization? : K-Classic and Korean Classical Musicians in an Era of Globalization.” (with Dr. Meebae Lee) (in The International Journal of Cultural Policy) Here! 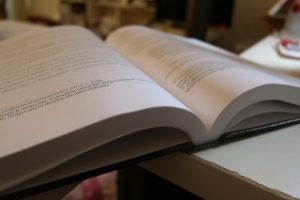 While many people may believe that Korean classical musicians’ success is the result of endless hours of practice and special musical instruction for talented children from a young age, this paper explores the systematic investment in classical music by the Korean government and large corporations. This paper aims to understand classical music as a nation branding tool in two ways. First, we trace Korea’s cultural policies since the early 1960 and locate the government’s investments in classical music in its cultural agendas. Second, by taking a critical approach to nation branding that highlights the role of the market and marketization, we investigate how and why classical musicians have collaborated with the Korean government in order to promote national pride domestically and a positive image of the nation internationally in an era of global competition. We highlight the government’s new agenda, “K-Classic,” which has support from various actors, including private corporations. I also co-authored an article, “Consuming Gangnam Style: A Comparison on Nation-Branding in Koreatown, LA/ NY” with Angie Y. Chung (equal co-author) and Injeong Hwang, which compares and contrast two Koreatowns in New York (Manhattan) and Los Angeles; this article was published in 2016. Here! Korean Food Goes Global? : How the Korean government and New York entrepreneurs participate in nation branding (Under Review). Since the 1990s, some nation-states have adopted business strategies in the form of nation branding policies to compete globally. Korea devised nation branding strategies in response to the 1997 financial crisis. While much research on nation branding has analyzed top-down policies, the role of the overseas diaspora is less known. This paper addresses collaborations between the Korean government and Korean entrepreneurs by analyzing Korean food promotion in New York. Based on qualitative research, this paper reveals that the Korean government has actively collaborated with Korean entrepreneurs and used Koreatowns as a platform to market the nation through food, while Korean entrepreneurs participate for higher profits. Although Korean Americans are often stereotyped as a model minority, they feel caught between assimilation and their racialized minority status. One strategy to cope with this challenge is to reconnect to the motherland. 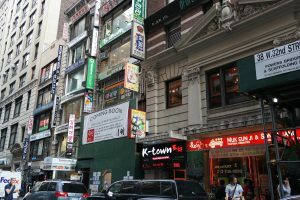 Based on research using in-depth interviews and participant observations between 2008 and 2016 in both New York City and Seoul, this article identifies transnational practices among Korean Americans: consumption of popular cultural products, homeland trips and leisure time spent in Koreatown. I argue that racialization and Korea’s cultural and diaspora-related policies in the wake of the 1997 financial crisis both produce new meanings for Korean American identity in the United States and enhance consumption-based transnational activities between two nations. “Hallyu and Korean America: Transnational Connections through Cultural Consumption.” Companion to Korean American Studies. Edited by Rachael Joo and Shelley Lee. Brill Publishers. Netherland. 2018: 207-230.